Your not surprised that I figured out a way to add in a stir-fry to my elimination diet are you? ‘Cause you shouldn’t be, since I can’t do without stir-fries. They have always been my go-to meal, and also my quick weekend dinners. And I figured out a way to make this with no soy, and not miss that flavor! I also decided to use up some leftover pumpkin seeds and make my own butter for this, as well as bypass rice or noodles and use quinoa and stuff some peppers! Fun right? And even better? It makes a ton, so you can snack on leftover! 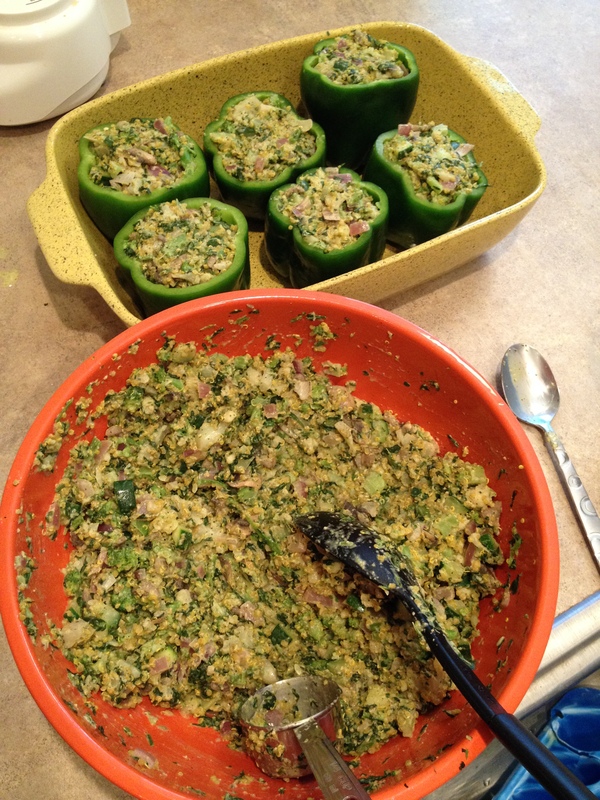 Hope you enjoy this vegan, gluten-free, and soy-free Pumpkin Seed Pad Thai Quinoa Stuffed Peppers – Elimination Diet recipe. Well this week I decided to cut out almonds – they have become my nut crutch. I started thinking about what I was eating prior to the start of the elimination diet and what I was continuing to eat since, and that led me to thinking about almonds – not that I snacked on almond before the diet (that was peanuts) but I consumed a lot of almond milk. And that led me to wonder if maybe I’m allergic to almonds? Is that even possible? I don’t know that I have ever heard of an almond allergy – but, I figured I would give them up too. I may not have an allergy, but I figured this week I’ll try to live without them. 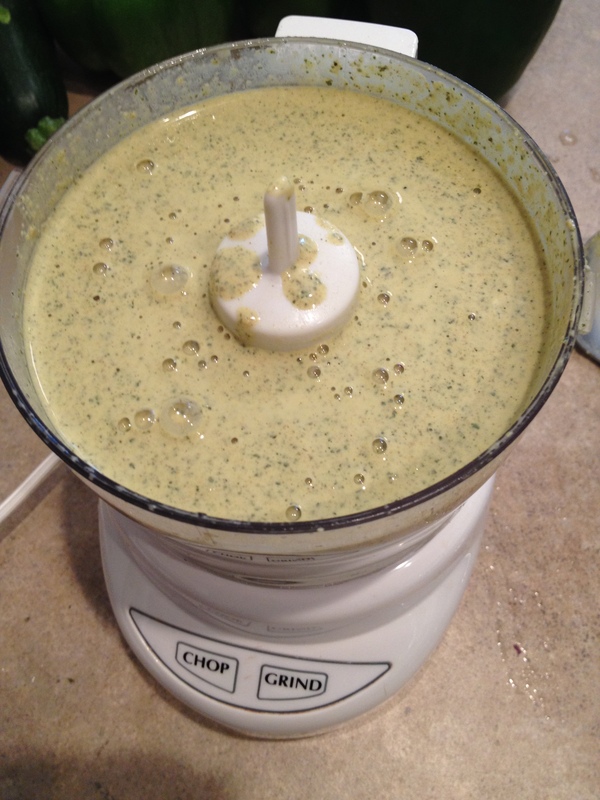 Which is the reason for the seed butter, since my original plan was to make an almond butter. I had tons of leftover pumpkin seeds from my Trail Mix Granola and knew I should use those up, so in the small food processor they went. I also had some leftover quinoa hanging around and decided to have a week of meals without beans. 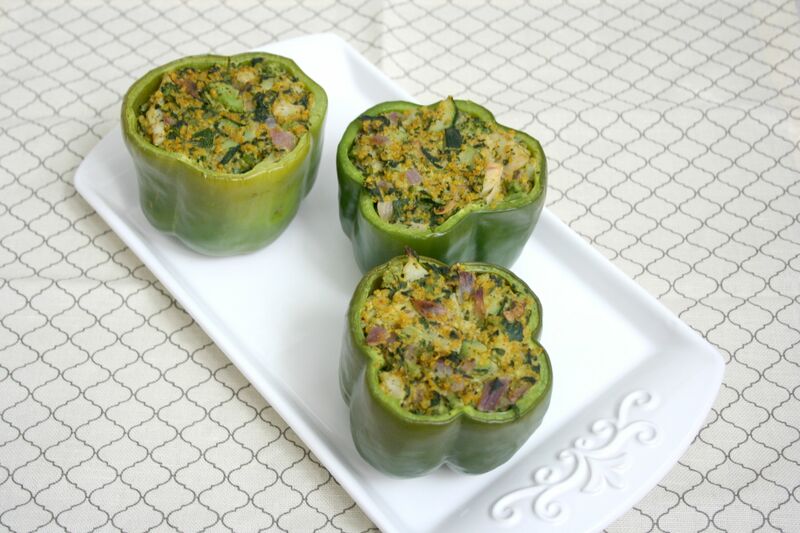 And to make it even healthier I stuffed green peppers – which are way cheaper than any other color, and add a nice tang to meal. And as you can see from the pictures – this makes a ton. 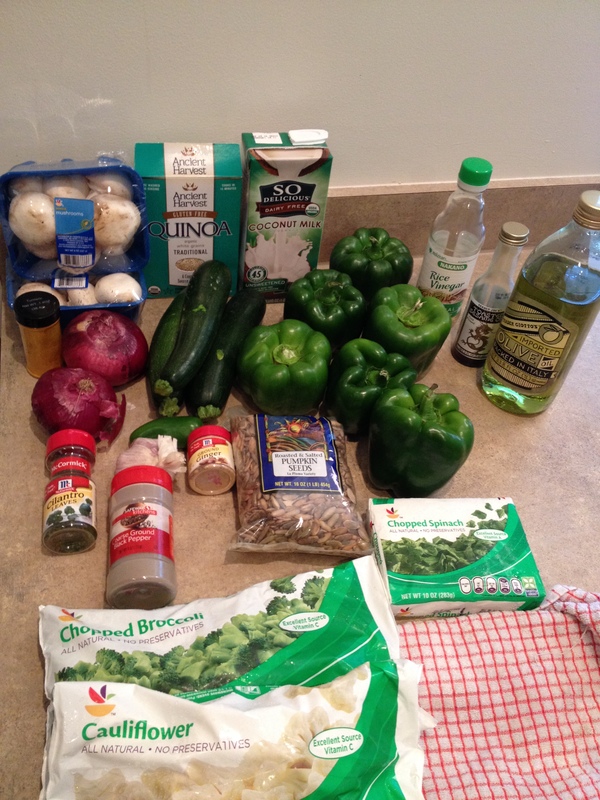 I only bought six peppers and each one was stuffed with one cup quinoa mixture, and I had about nine cups left after stuffing. So what to do? Well you can either freeze the leftovers in one cup servings in zip lock baggy’s or eat it throughout the weekend/week dinners. Yum. Start by getting your quinoa, spices, and water going in a small pot. Bring to a boil then lower heat to simmer and cover with a lid; simmer for 20 minutes then take off heat and fluff with a fork or spoon and set aside. 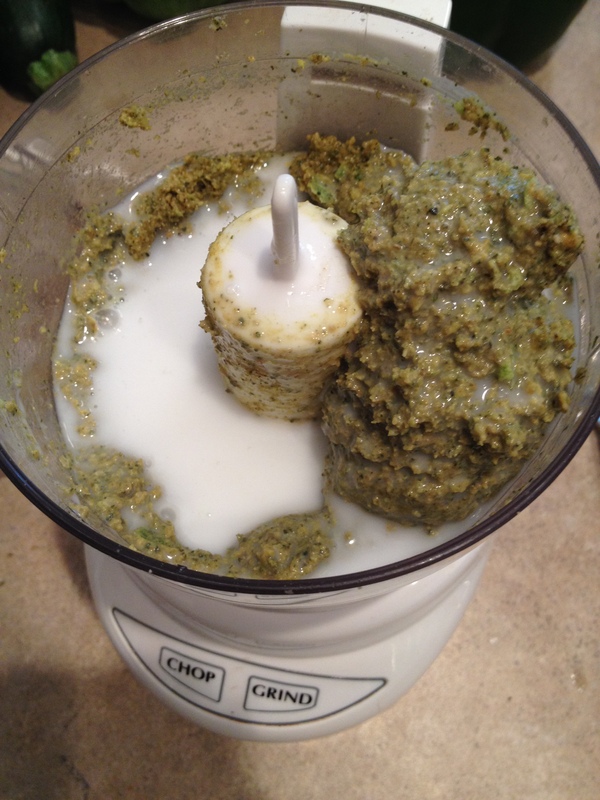 In a small food processor dump in seeds and grind until dusted. 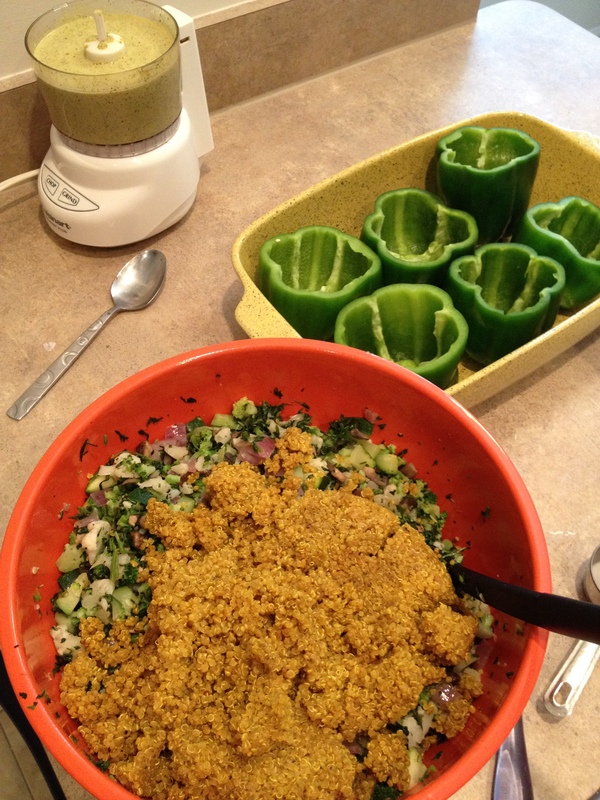 Add in spices and grind then add in chopped garlic and jalapeno along with the sesame oil and vinegar. Mix until it starts to form a ball. Add in milk a quarter cup at a time and process until creamy then set aside. Dice onion and mushrooms into small pieces then lightly saute each about two minute; you do this for each veg-just saute enough to get cooked but you still want the veggies to have a bite to them. Mix veggies in a large bowl then add quinoa and mix again. Add sauce in thirds to the veg and quinoa and mix completely. 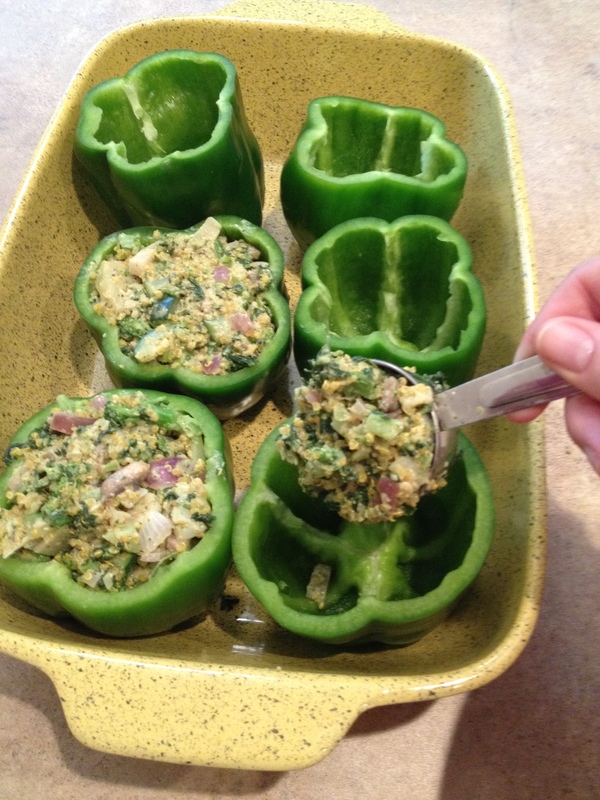 Use a quarter-cup measuring cup to scoop into hollowed out green peppers. 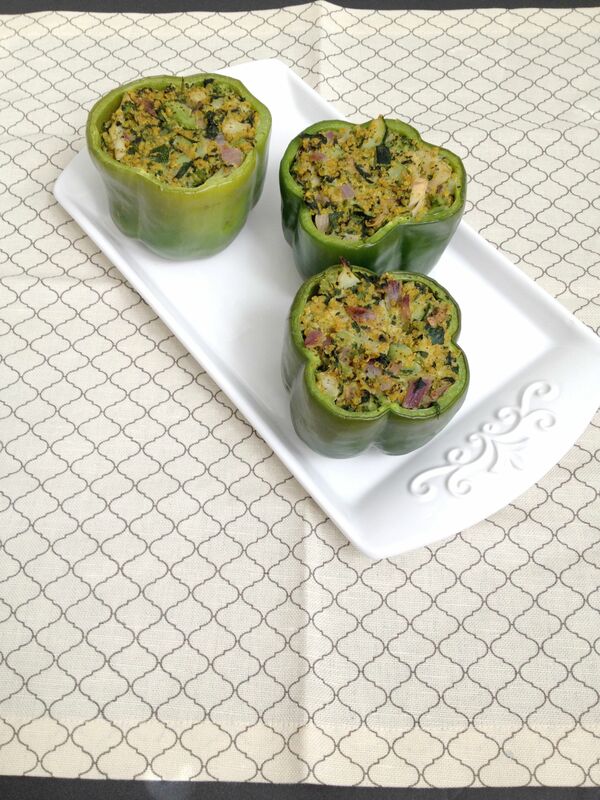 Place filled peppers in a baking dish then pour water into bottom of dish to ensure peppers won’t burn to dish. Bake at 350 degrees for 30 minutes. The peppers will still have a crunch to them. Enjoy! 1. 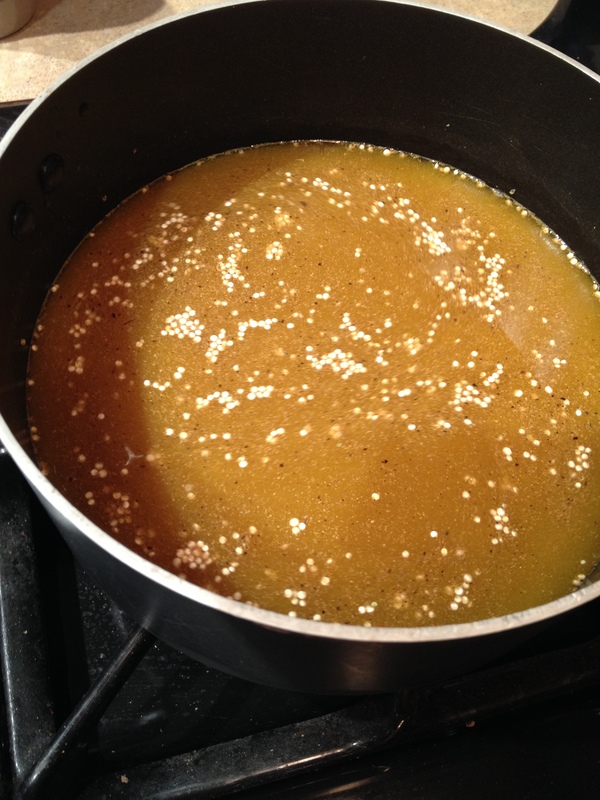 Dump quinoa, spices, and water into a small pot and bring to a boil. Once boiling stir then lower heat to simmer and put lid on. Cook 20 minutes then take off heat and fluff. Set aside. 2. 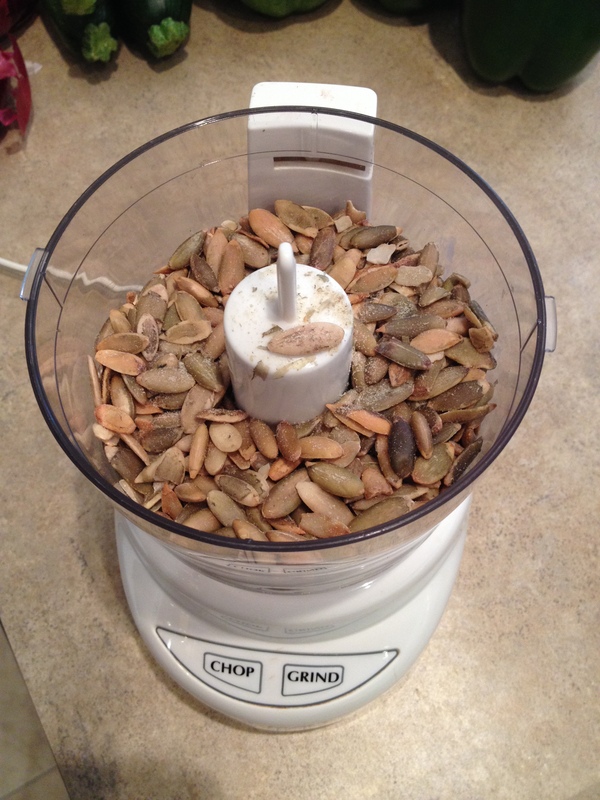 Dump pumpkin seeds into a small food processor and grind into dust. 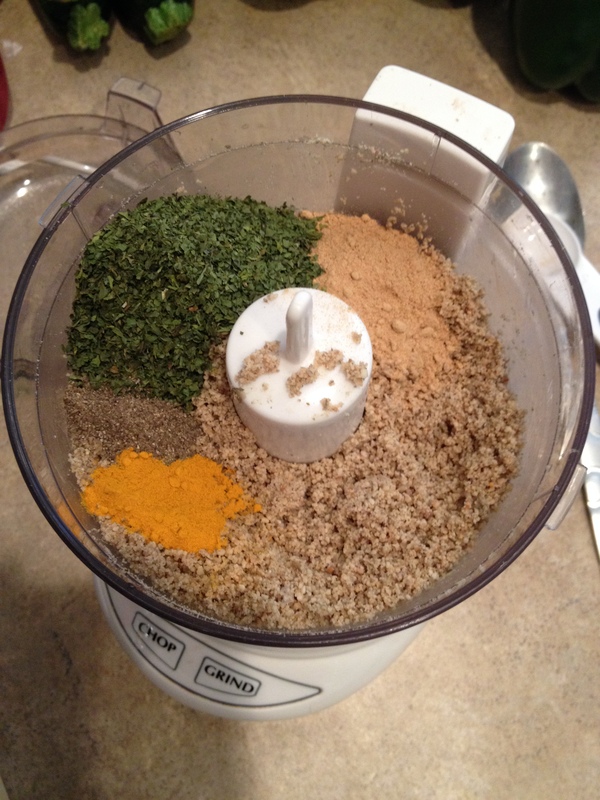 Add spices and grind. 3. Rinse jalapeno then halve and take seeds out of half. Chop pepper and garlic then add to processor with vinegar and sesame oil and grind until rounded ball forms. 4. Add in milk 1/4 cup at a time and process until creamy and loose. Set aside. 5. 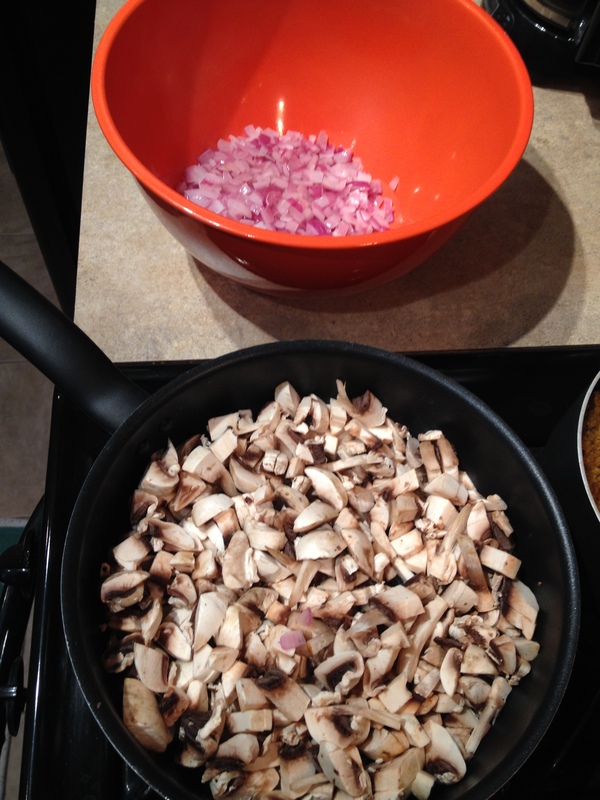 Chop onion and mushrooms into small pieces. 6. In a saute pan add one tablespoon olive oil then add onion and cook two minutes then dump into a large bowl. 7. Add mushrooms to pan and cook; let sweat liquid out and cook. Pull mushrooms out but leave liquid. 8. 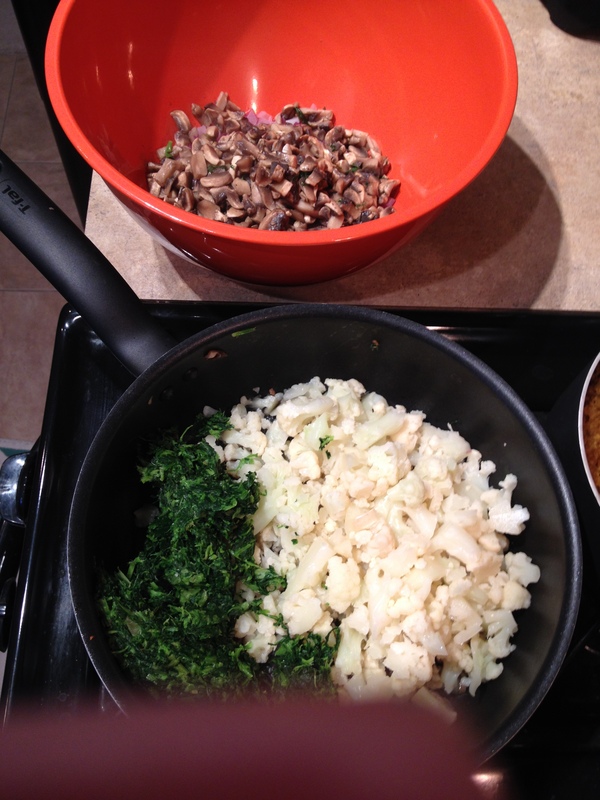 Chop cauliflower into small pieces and add it and spinach to mushroom liquid and cook. Let cook 2-3 minutes then add to veg bowl. 9. Dump broccoli into pan with one tablespoon oil and cook about 2-3 minutes. 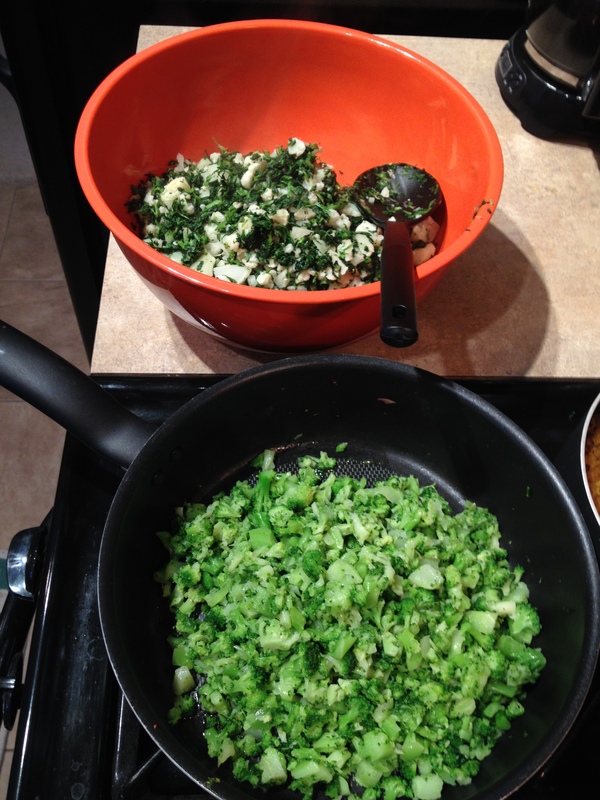 Chop zucchini into small pieces while broccoli is cooking. Add broccoli to veg bowl. 10. Turn oven to 350 degrees. 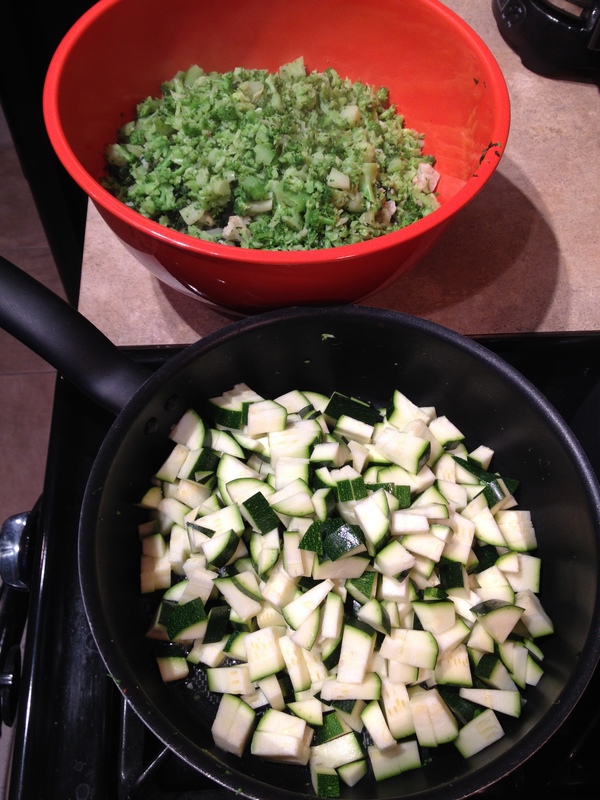 Add chopped zucchini and one tablespoon oil to pan and cook 2-3 minutes. Add to veg bowl. 11. 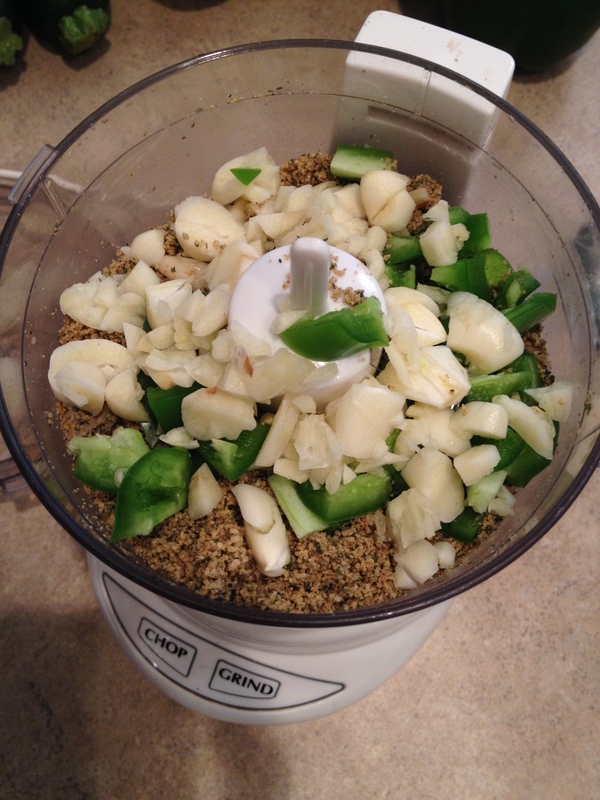 Mix veggies until combined then add quinoa and mix again. 12. Pour sauce over mixture in thirds and mix after each time. 13. Slice tops off of the peppers and place into a baking dish. Spoon mixture into peppers. Pour water into baking dish so the peppers don’t get burned in the pan-about an inch of water. 15. Take out and enjoy! 16. 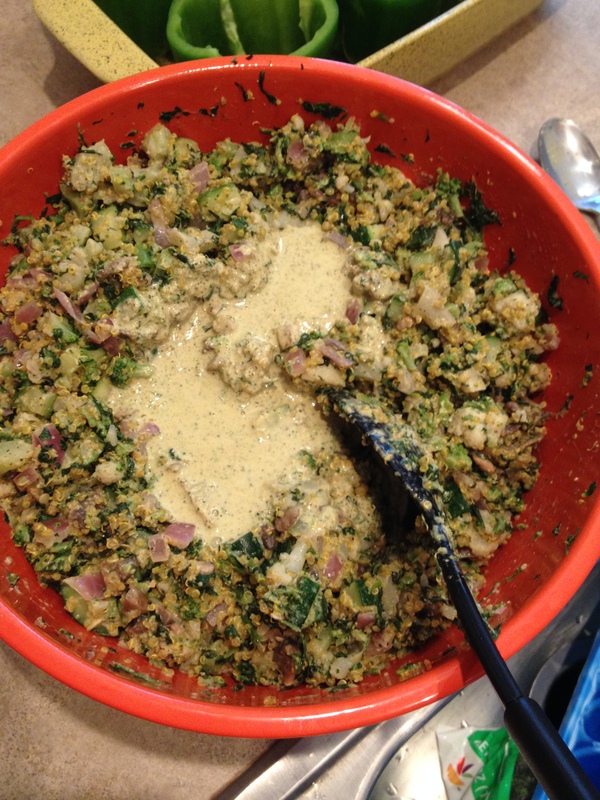 Tons of leftovers – enjoy alone or freeze to enjoy later! These look great! 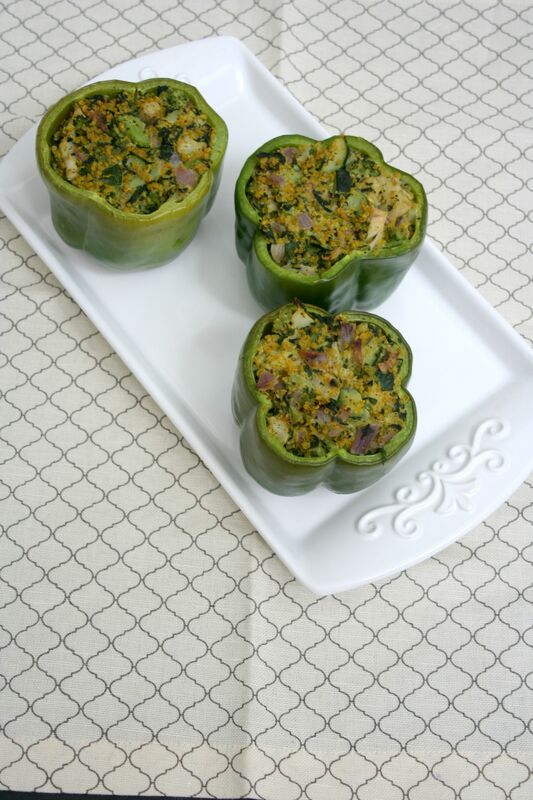 I love stuffed peppers and Thai food but have never thought to combine. Thanks for sharing! Thanks! Since starting the Elimination Diet it has been fun to create new ways of eating my old favorites! Happy to have found this recipe on Allergy-Free Wednesdays! 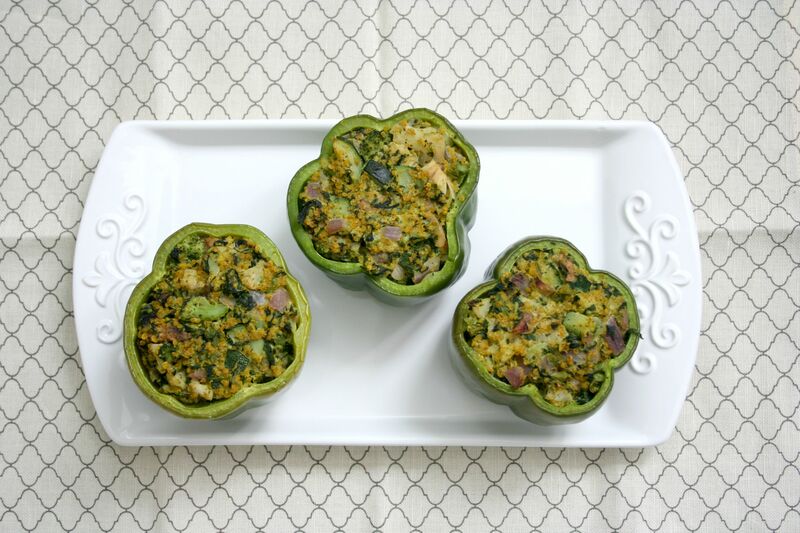 What a clever way to combine classic Thai flavors in a veggie-rich presentation! Thanks! I love creating new ways of my old stir-fry favorite!